When Democratic socialists Alexandria Ocasio-Cortez and Bernie Sanders rallied for a left-wing congressional candidate Friday afternoon in Kansas, they insisted their agenda is "mainstream." 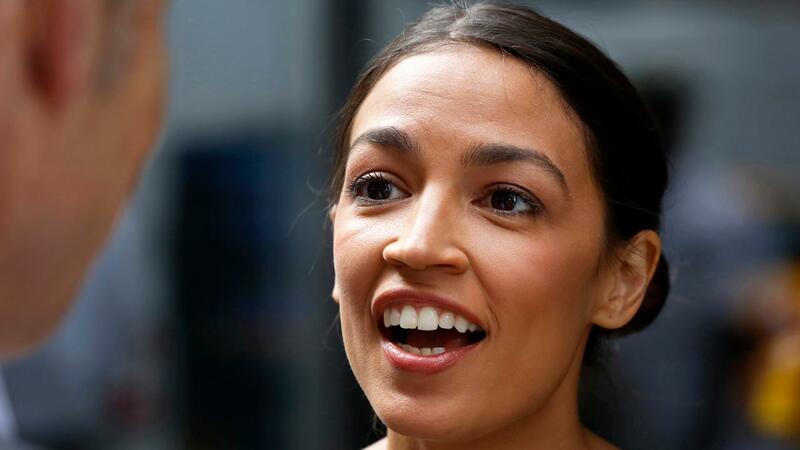 Ocasio-Cortez, the 28-year-old progressive who surprisingly defeated longtime Rep. Joe Crowley in New York’s Democratic primary last month, struck a similar tone, as she also called for Medicare for all, free college tuition and a guaranteed living wage for all persons. Sanders, who also called for making public colleges and universities tuition free, acknowledged the high expense of delivering on these promises. In Wichita, Thompson came close to winning in a special election last year, and is taking his second shot at unseating GOP Rep. Ron Estes. Later Friday, Ocasio-Cortez and Sanders were scheduled to stump for Democratic congressional candidate Brent Welder in Kansas City. Welder is running against GOP Rep. Kevin Yoder, whom President Trump endorsed on Twitter this week as someone who has voted for "$5 BILLION for Border Security" and who "loves our Military and Vets." Ocasio-Cortez made a gaffe during the Friday evening event, when she urged voters to "flip this seat red" for Welder, instead of flipping it blue, Mediaite.com reported. Primaries in Kansas take place Aug. 7.